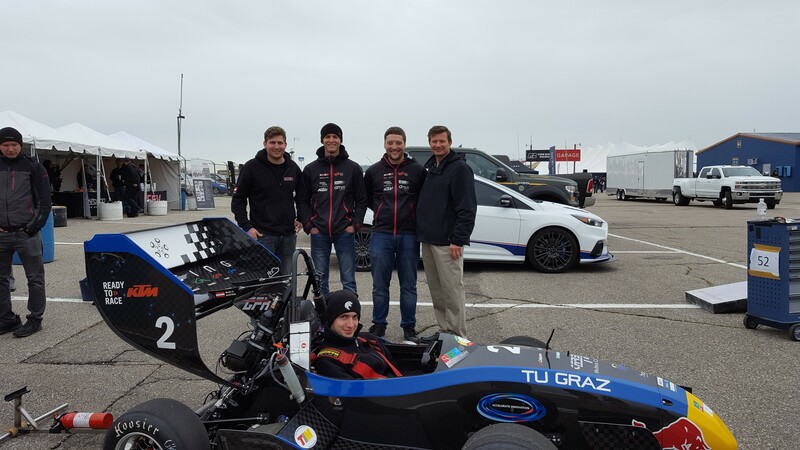 This year 109 teams gathered in Brooklyn, Michigan to participate in the Formula SAE® competition. Together, members of each dedicated team design, build, and test a small, Formula-style competition vehicle. In just four days, a year worth of laborious preparation is put to the test, and it’s a rigorous one. 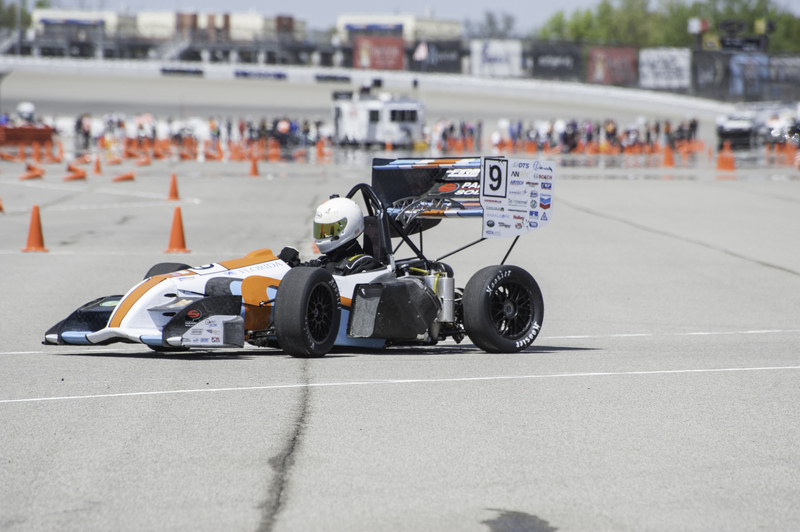 Each vehicle is scored in static and dynamic events including: technical inspection, cost, presentation, engineering design, solo performance trials, and high performance track endurance. Altair is a proud sponsor of this collegiate design competition, and has been for more than ten years. 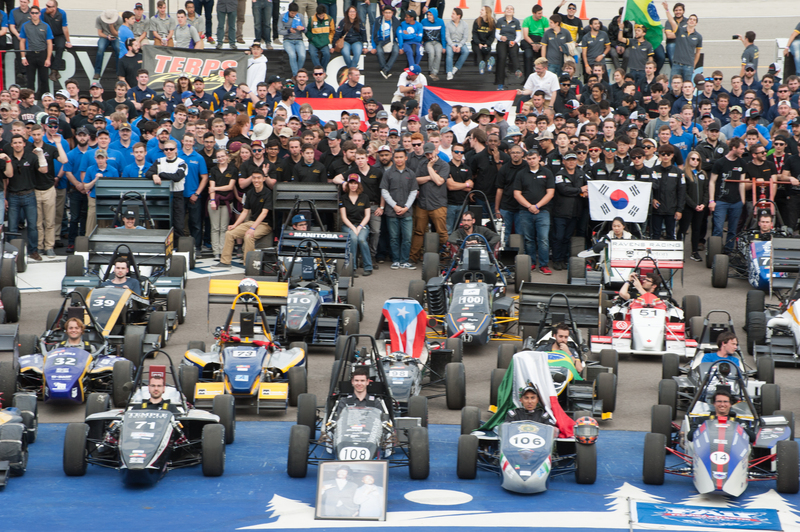 A great deal of time and volumes of effort are invested by Formula SAE teams year after year. 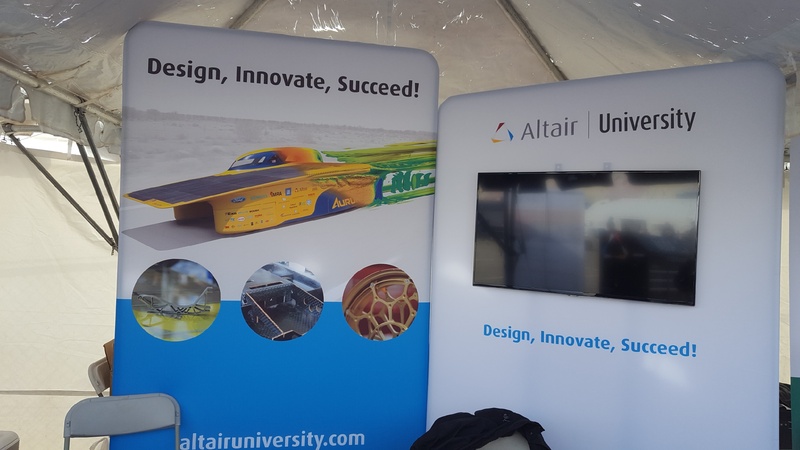 At Altair, we truly value this effort and the new and innovative concepts these teams bring to the FSAE competition. 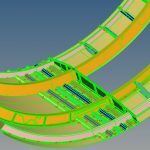 We also reward this effort with the Altair William R. Adam Engineering Excellence award that is presented annually to the top two teams who demonstrate innovative concepts in vehicle design. This year, we received twenty applications for the William R. Adam award. As always, the entries were impressive. The teams did a great job with innovative concepts this year, making it difficult to pick two winners! The William R. Adam Engineering Excellence award was presented on Friday, May 12th to 1st Place Tennessee Technical University and 2nd place University of Florida. Tennessee Technical University’s novel and innovative approach to the challenge of creating a stiff, strong, and lightweight body was solved by using perforated body and aero panels. Due to this, their vehicle cost was below $6,000 while most teams were between $10,000 to $20,000. 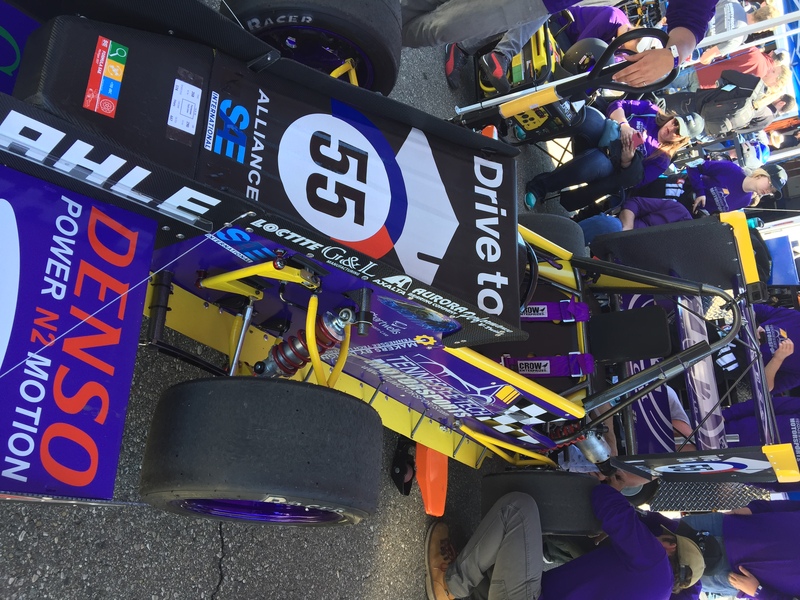 The University of Florida took 2nd place with a very creative modification/tuning of their front wing and use of under car vanes for better downward force and cooling. The redirecting of air also helped to supply the radiator with more cooling to solve their past overheating issues. Congratulations again to the 2017 William R. Adam award winners! 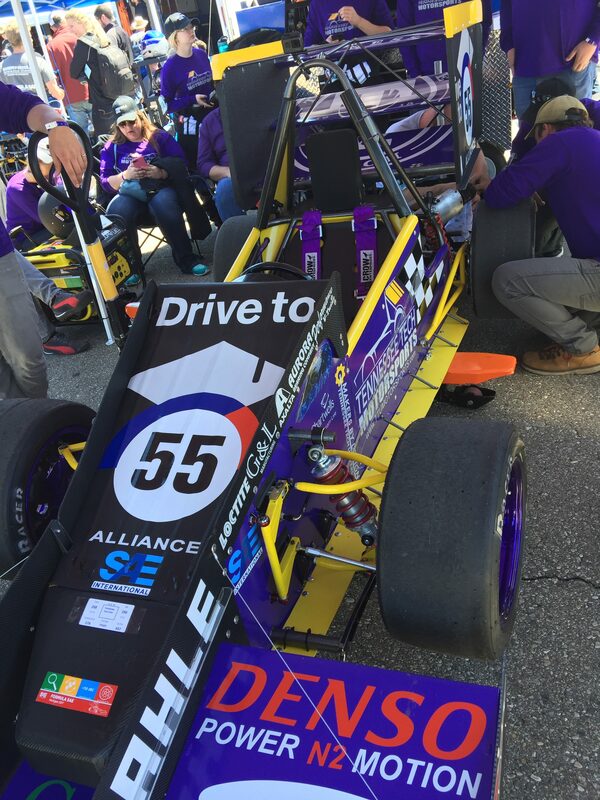 A job well done to Tennessee Technical University and University of Florida, as well as to each of the 109 teams for their achievements and commitment to the FSAE program. The teamwork, communication, design process, and manufacturing experience that are nourished through this great program are key elements that will solidify success in the engineering community.